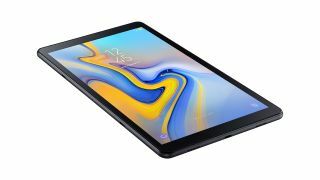 The new Galaxy Tab S4 10.5 is a compelling Android tablet, but because its price may be out of reach for a lot of people, Samsung also announced a cheaper version . It’s the Samsung Galaxy Tab A, and it, too, comes with a 10.5-inch display, but has slightly less memory with 3GB of RAM and a slower chipset in the Snapdragon 450. Where the device really stands out, though, is its 1920 x 1200 display, which means users will be able to consume their media on the go with a device that’ll presumably be pretty inexpensive. While we don’t yet know how much the Tab A 10.5-inch will cost, it should be significantly cheaper than the flagship Tab S4, which is priced at $649.99 (£599, around AU$880).